Victoria bed and breakfast travel guide for romantic, historic and adventure b&b's. 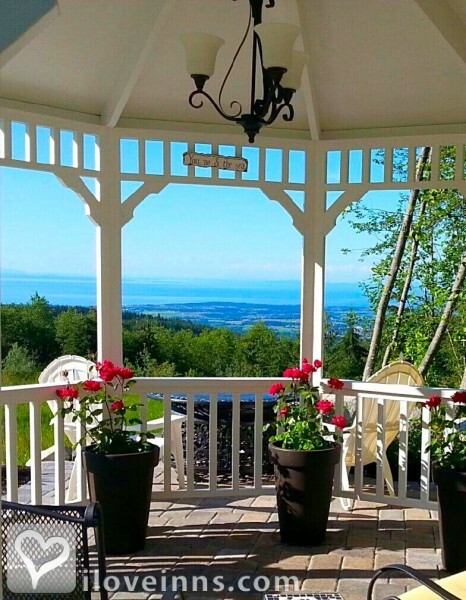 Browse through the iLoveInns.com database of Victoria, British Columbia bed and breakfasts and country inns to find detailed listings that include room rates, special deals and area activities. You can click on the 'check rates and availability' button to contact the innkeeper. Victoria is the capital city of British Columbia located on Vancouver Island. There are many ways to explore this award-winning cosmopolitan city. Ride a horse-drawn carriage, a double-decker bus, rickshaw, scooter and or bike through the streets of Victoria or take a water taxi, canoe or kayak. Inner Harbor in downtown Victoria boasts many impressive government buildings as well as the Royal British Columbia Museum and Thunderbird Park with its fascinating totem poles. Victoria was named in Trip Advisor's Top Ten Family Vacations in Canada and number 16 of 100 Top World Destinations. A Victoria bed and breakfast inn is the perfect place to stay and fully appreciate this wonderful city. Diverse cultures and attractions have long been a part of Victoria, from North America's second-oldest Chinatown to the ever-popular traditional High Tea at Fairmont's Empress Hotel. Butchart Gardens is a botanical wonderland in Victoria that is more than 100 years old. Whale watching for Orcas and photographing famous Fisgard Lighthouse are two very popular activities. By Albion Manor Bed & Breakfast Inn.